Modern businesses need to understand the significance of social media. You can reap huge profits if you utilise social media strategies to market the products. There are some simple tricks that most of the major social media websites use to put forth their ideology. Here we share with you some of the most useful and profitable tricks. Businesses have known to interact with customers and socialise. They also need to understand that festivals and events have a great cultural impact on the minds of people. It is always easier to reach the customers by understanding their mindframe. Create offers and discounts for special occasions and festivals. A special discount on the Valentine Day is always appealing to the user. There are some rules you must follow while marketing through social media. One such golden rule is the 70/20/10 rule. It always works. Let me explain the rule to you so that you know how it works. On your social media page, 70% of the content you update should be about the product or service. This content has to be informative and useful to the user. You can have roughly 20% content shared from other users. The remaining 10% should be the content that goes viral. It should be apt and easy to understand. It should interest the viewers. Customer service is the best way to build a rapport with the customer. You must provide the best customer service. Use social media to help you achieve this end. Consistency plays a key role in having a good fan following. You must post at regular intervals. Social Media websites that are consistently updated have a greater chance of ranking on search engines too. 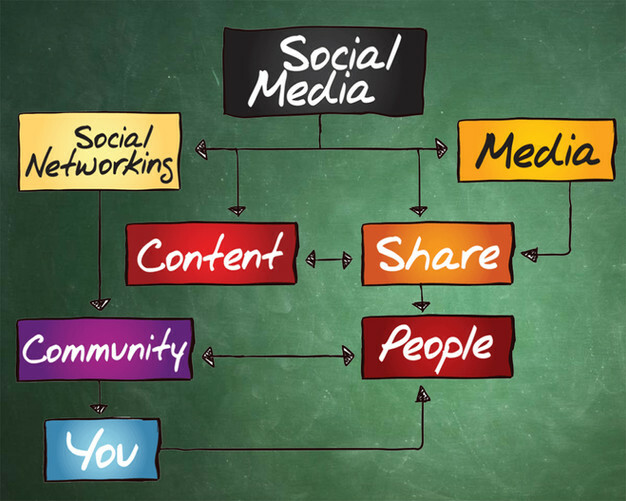 Social media allows customers to post comments and queries. Make sure you answer to all comments and queries. This is a great way to understand your customers needs and wants. Never neglect this forum. There are some types of posts and updates that are an instant. Understand your customers and what appeals to them most. Update posts that go viral and gain popularity in social media. This is one of the best social media strategies to gain popularity and attain profit. A post that matches the season and trend is always a great option. It will easily be noticed. It is an easy way to achieve your goal. These are just a handful of simple ways to gain popularity in social media. You can utilise social media to reap huge benefits. These methods are useful even to improve small local businesses.